Imagine having a yard like this! 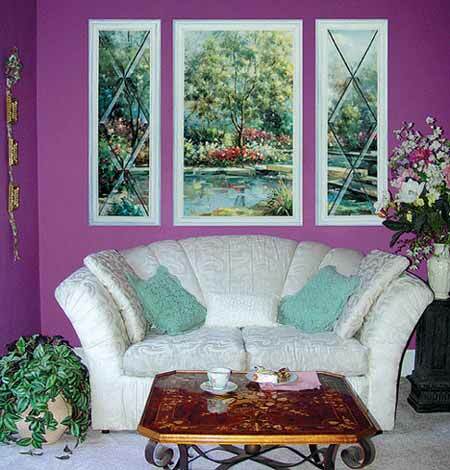 This mural will add charm and sophistication to any room of your home or place of business. 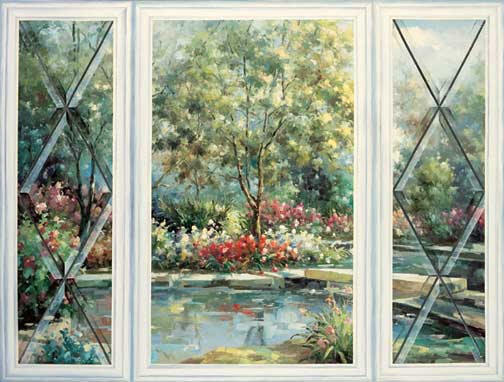 The separate side panels are faux leaded glass that add trompe l'oeil elegance to the piece. The rectangular panels can be mounted or framed in a trim matching your interior if you prefer that over the white window frame illusion. The panels can be spread several inches apart or hung right next to each other.